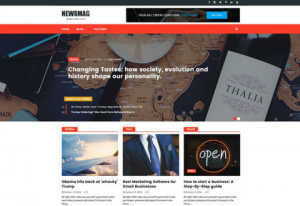 Foliogine is an amazing and powerful Portfolio WordPress Theme, suited for a personal website, blog and users who want an awesome portfolio. You will enjoy the power that you’ve always desired with extensive design option and featured. You have even the ability to change the background colour. With Foliogine you have the Featured Work and Latest Work sections, where you can keep the customers to date with your latest projects.